Our collection of Flash Flip Book Templates grows by leaps and bounds, and today we proudly present a new eye candy Flash page flip solution that gladdens us with high functionality and catchy design approaches. This Flash template can be used for many web projects: photo and other image portfolios, books, magazines, brochures, and so on. Using this page flipping solution as a basis for your online project, you will get a professional and really impressive Flash website that will definitely attract visitors to your online presentation with great interactivity, stylish elements and convenient navigation. The gallery sections are performed as interactive rectangles; when clicking on a rectangle, an image gallery created as a flip book opens. 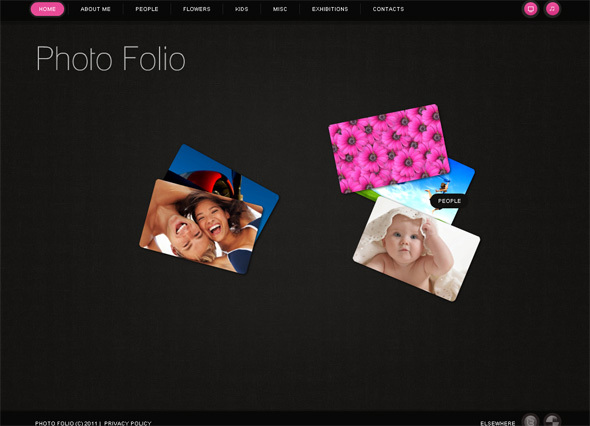 For each gallery section a separate flip book is created. For browsing through the website, the visitors may use the upper menu by clicking on the section they would like to visit. To turn over the pages of your digital book, the visitors may click on the page’s corner or just drag it with a mouse. Moreover, they can use arrow buttons below the book. If you look inside the flip book’s control panel, you will find many new useful features and improvements that eases the template’s customization process and makes the website’s managing and editing more convenient and fast. You can now select and modify multiple objects (transform, rotate, re-size them), use the «Advanced anti-aliasing» function that provides font smoothing, enjoy a new module: “News Widget” that allows you to publish news on the website much easier as well as take advantage of the improved “Contact Form” module. 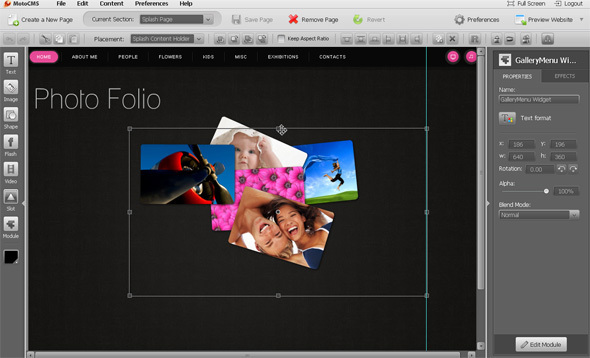 You can modify the flip book to your liking: add or remove pages, elements, modules and fonts, change the background, embed an unlimited number of images and videos, etc. You have an opportunity to evaluate the template before purchasing by viewing the Demo.